Lipanska tram stop is situated in front of the hotel. Public means of transportation in Prague are clean, quite comfortable and cheap. HOTEL SERVICES: 24hr reception, City tours, Hotel transfer, Buffet breakfast, Internet room, Summer terrace, Conference room "KLIMT", Passenger lift, Lobby. ROOM AMENITIES: Non smoking rooms available, Colour television, Info video channel, Telephone, room safe, Refrigerator, Hair Dryer, Air-conditioning (rooms on the top floor), Kitchinet or courtois, Microwave, Coffee and tea maker, wifi, hight speed connections - free, minibar, fridge. Secure bus parking only two tram stops, or 7 minutes walk . 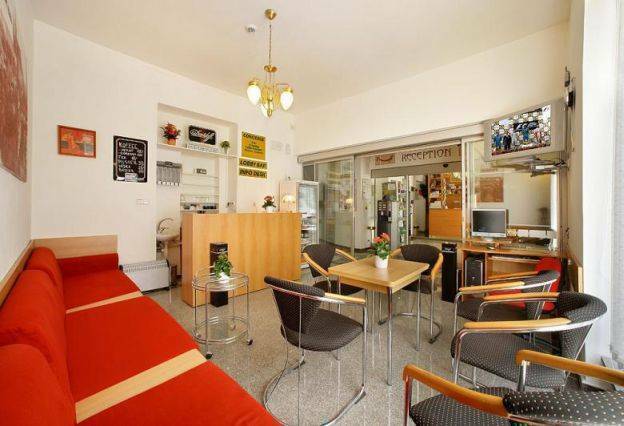 Family Apartment: / two separate bedrooms/, max 6 persons, min 4 persons, Colour television, Info video channel, Telephone, Room safe, Refrigerator, Hair Dryer, Minibar, microwave, Air conditioning only on the top floor, Coffee maker. 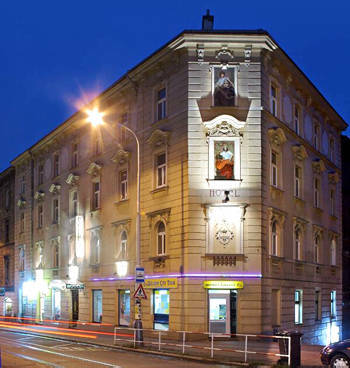 Hotel GOLDEN CITY - garni is an independent, three-stars hotel situated in the central part of Prague, Taboritska street, preserved area of Zizkov, within easy reach of Wenceslas Square, the Old Town and all the attractions of Prague close to Main Train Station. Tram number 9, 5, 26 from Main Train Station, only two tram stops to the station Lipanska. Akropolis Restaurant is an integral part of the multifunctional Palace Akropolis complex with it´s centre concealing a large concert hall/ theatre, two smaller bars and a cafe bar. CANCELLATION CONDITONS: The hotel reserves the right to charge the client's credit card in case of late cancellation or non-show. Cancellation penalty is the first night's room. You may cancel your reservation without penalty up until 3 days before your arrival date. Non show is price of the first night. Taboritska street - tram number 9, 5, 26, after midnight tram number 55, 58. Tram station LIPANSKA. Only two tram stops from the Main Train Station /Hlavni Nadrazi/ and four tram stops from Wenceslas Square. There are two international train stations in Prague. The first one, Wilson Railroad Station / Main Train Station (Hlavni Nadrazi) is next to the center with quick connection to our hotel. After exiting the hall, turn right, walk across the park ) and take any tram (#5, #9 or #26) up to LIPANSKA STOP (second stop to get off). The cheapest but lengthiest way is to use Prague's Public transport (PID). Take bus #119 to its terminal station at Dejvicka metro station. get off and take tram #26. After passing the river and the Main Train Station (Hlavni nadrazi), get off at LIPANSKA STOP. The most comfortable (and the safest) way for you might be our hotel transport service. Should you wish so, we will be pleased to pick you up at the airport. 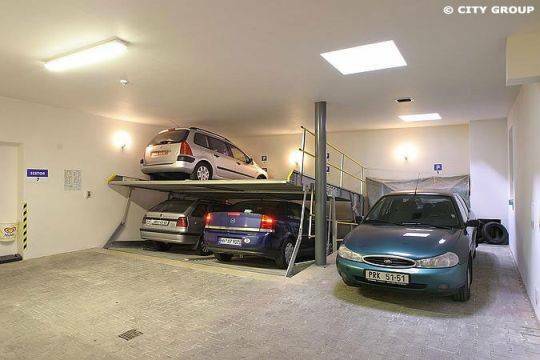 The charge for this service is CZK 600.